While the Super Bowl is a bittersweet time for everyone (two best teams playing for the title/11PM on Super Bowl Sunday is the longest possible time before more football), proposition bets give us some extra opportunity to squeeze out every last bit of gambling juice. Check out our picks below for props where we’ve found the most value. Carrie Underwood, Christina Aguilera, Kelly Clarkson, and Renee Fleming. All of which sung the National Anthem in the last decade at the Super Bowl, and completed the task in under 2 minutes. Those in the last 12 years that have gone over 2:02 are Aretha Franklin, Alicia Keys, Jennifer Hudson, Idina Menzel, Lady Gaga, and Luke Bryan. Aside from Luke, those are females with big voices and pipes that ring, we don’t see Pink in that category. The average length has been 118.5 seconds, and that includes an outlier by Alicia Keys at 155 seconds! Take the under at 122.5 if you can find it. Each of the past four Super Bowl coin tosses have come up tails. Of the 51 total coin tosses in the Super Bowl, 27 have been tails (53%), and 24 have been heads (47%). As we all should be aware the long term probability of this flip should result in an even 50/50 split. 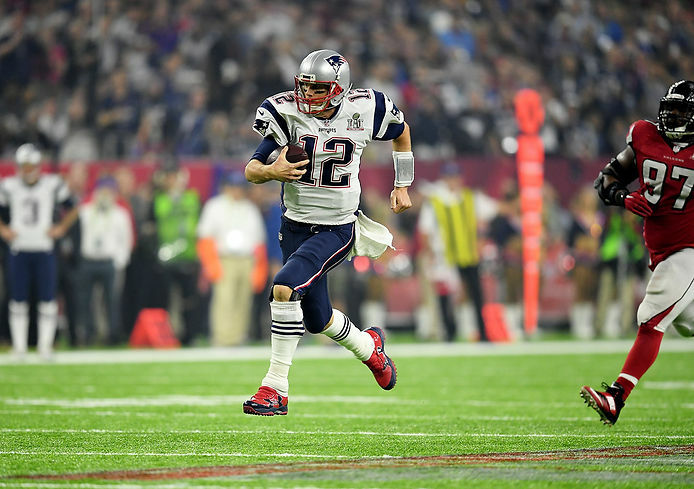 The longest streak of consecutive heads/tails in a row was five, which was done from Super Bowl 43 to 47, the current four game tail streak ended that run. We see a reversion to the mean and the tails streak coming to an end. Take Heads and try to find the juice at -101. If we don’t get it right this year…well we’ll martingale it until we do! Under Belichick, the Patriots have scored exactly zero points in the 1st quarter in all of their Super Bowl appearances. The current Pats have an even greater affinity to start slow. In their two playoff games, they scored a total of just 3 points. Meanwhile, the Eagles scored a TD in the 1st quarter of the NFC Championship game and, while getting shutout by the Falcons in the 1st, they did start a TD scoring drive in the 1st, ultimately punching it in early in the 2nd. This prop just follows our expected theme of the Eagles going up early and using their defense to hang with the Pats, until late. This is a lottery ticket type bet. But we love the odds we are getting here. NE actually defends what many perceive as Philly’s biggest threat near the endzone, Zach Ertz.. The Pats are 8th in the league defending TEs, but 26th versus WR1. We’re already operating under the assumption Philly will score 1st, so why not take a shot at the guy that can score from anywhere on the field? Runner up for this one is Jay Ajayi, also (12/1). See Above. The Patriots do a pretty decent job covering TEs and RBs, but have one of the worst units defending #1 WRs. This is no secret, so Jeffrey should get plenty of targets on Sunday. This prop could easily be covered on 2 or 3 receptions. What a feeling it will be when he catches a 50 yarder with the game’s 1st TD. This one is one of our favorite bets of the year. It is also probably going to be a wild ride, since the kneel at the end of the game may be in play. Last year, Tommy rattled off a 15 yarder to smash the OVER 3.5 yard prop. This season, he is averaging 1.6 yards per carry, but this Philly defense may lend provide opportunities for Brady to squeeze through the initial rush and gain a chunk of yardage with LBs in man coverage running with TEs and RBs deep down the field. This is a perhaps obvious play, counting on Tom and Bill’s comeback/clutch abilities. We already noted the Patriot’s historical slow starts in Super Bowls, but we probably don’t have to mention their hot finishes. Tom IS Mr. 4th Quarter. Considering any scenario, if the Pats get the ball with more than a minute, there is a good chance they are going to score. That’s just what they do. Bend but don't break. The Patriots defense finished the season top 5 in red zone defense. Likewise, the Eagles went from a top 5 red zone scoring offense to towards the bottom of the league when Foles took over at QB. With Belichick's schemes and a team who now struggles in the red zone look for the Eagles to settle for at least 2 field goals. If the Eagles win this game, the color will likely be yellow, as we can’t see them using blue which is the Patriots colors. And purple is a non-starter for Doug Pederson, no coach is going to allow purple Gatorade to be dumped on him. If the Patriots win this game, we see the color as clear or blue. Your book may have a combo Yellow/Clear bet, if so we suggest that. Also, try to find a wager where if there is no shower, it is a push instead of a lost wager. These should set you on the right track. Don't forget to enjoy the game!